With Spring Training to kick off this week in Fort Myers and most of the team already on the field raring to go, we wanted to bring you some interesting players to watch and why. Some of these players have been on the Major League roster for some time, a few are occasional filling as needed and some are fighting for a spot. Each has a story, each has something to prove and we bring you their special reasons to keep an eye on them starting this week. He spent eight weeks before the opening of camp in Arizona with second baseman Dustin Pedroia and already has a mentor in Pablo Sandoval, so let's hope he can turn it around this year. We might forget that he is still very young, having just turned 22 last October, but there is no real safety net at short if Bogaerts continues to struggle again this season. Would you pull Hanley Ramirez out of left field or use Brock Holt if Bogearts fails to turn it around? He was fantastic when brought up last year at the end of 2014, feeling both comfortable and effective at the Major League level. At 30, Wright is at the age where knuckleballers seem to ripen. Tim Wakefield was 28 when he relaunched his career and pitched till he was 45. It's true that the Red Sox would like to see young pitchers like Henry Owens gain more experience, but don’t overlook Wright. He has been hard at work in the off season with specialists around sports performances. If you are looking to catch up on his thoughts around a diverse array of questions regarding being a knuckleballer, revisit our article. Touched on in previous article this month and it is clear that though his defense is amazing, his offense is very much below the Major League level. Remember in 2013 he was the sensation of camp, hitting .419 with 7 extra-base hits, 12 RBIs and was in the Opening Day lineup. He was quickly dispatched back to Pawtucket when Ortiz came off the DL. Last spring, Bradley hit just .158 and was supposed to start the season back in Pawtucket until Shane Victorino strained a hamstring. He was a dream defensively but batted just .198 with 152 strikeouts in 479 at-bats. The Red Sox will probably need to see more than a good spring training from him before they give him another shot, he turns 25 in April, so the club will need to figure out soon whether he is part of their long-term plan. Not a real good chance to make the Major League roster out of camp, as he only has caught 18 regular-season games above Double-A level and could use more seasoning in the minors. That being said, it's not totally out of the question, especially if Christian Vazquez gets hurt in camp, but it's a long shot. Swihart, who turns 23 on April 3, is the Red Sox No. 1 prospect and he will receive a great deal of attention from the big-league staff in camp and will be looking to make an impression that could lead to a call-up later in the season. Nava seems to be the odd man out with an overloaded outfield and even the back up role at first base in contention with Allen Craig behind Mike Napoli. It is hard to envision a scenario in which this isn’t an either-or proposition, outside of trading Shane Victorino and the $13 million left on his deal. Last season Nava had so much trouble that he even spent time in Pawtucket, though he did recover to hit his way back into the bench role, especially against right-handers (.293 BA/.372 OBP). It would seem the Red Sox will be watching Craig in camp to determine if 2014 was an off year, where he hit .128 in 29 games after being traded by the Cardinals. The Sox have him signed for three more seasons plus a team option at 2018 at a very team-friendly rate. Nava is out of options this spring, so he can't be stored down in Pawtucket anymore, something has to give. After dominating the competition in Double-A Portland, Owens posted a 4.03 ERA with Triple-A Pawtucket in 2014 and he maintained an elite strikeout to walk rate. He is one of eight Spring Training invites, meaning they usually get to spend a few weeks in big league camp before they're rotated back to the minor league side, but the experience is valuable as they get to play next to big leaguers and share locker room space with the Red Sox regulars. Owens is back, this time around he has matured both physically (with his 6-foot-6 frame tipping the scales at 220 pounds after signing out of high school at 174), and on the mound. While Owens’ plus-changeup and curve, coupled with the deception that comes with unwinding his large frame, would seem to be his bread and butter, the lefty actually cites fastball command as the part of his game that has taken the biggest leap over the past year. He could compete for a spot in the Red Sox rotation in spring training, but would likely start the year in Triple-A for some more seasoning as he is just 22 years old. No need to rush this top prospect. 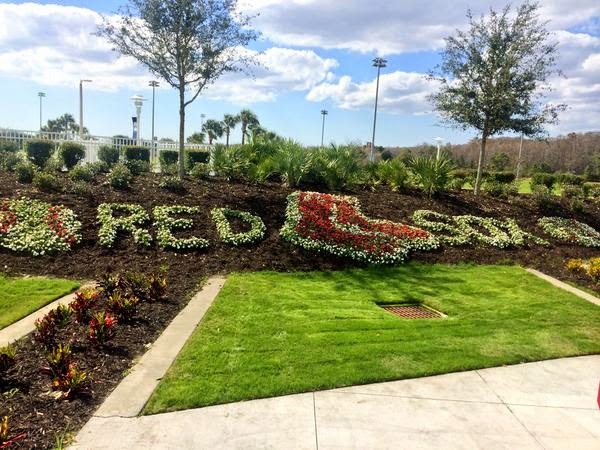 There you have it, the 5 sleeper picks to watch during the coming weeks as the Red Sox kick off their 2015 Spring Training in Fort Myers. Did we miss one that you would consider your sleeper?